Here’s Ganapati, everyone’s favourite god. 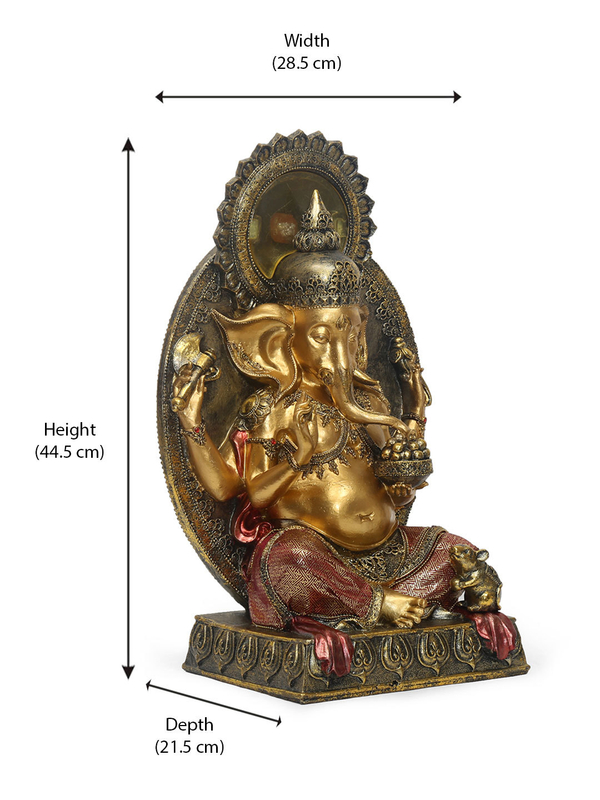 Give this Ganesha showpiece a prominent spot in your house. Place it at the entrance and set a spiritual tone of your home. Or place it on a pedestal in the living room. It instantly adds a vibe of peace and holiness. Made of polyserin with a multi-colour finish with gold, it ensures grandeur. Looking for a beautiful wedding gift for friends or family? The Ganesha showpiece would be perfect.